Kundalini is the coiled up, dormant, cosmic power that underlies all organic and inorganic matter within us and any thesis that deals with it can avoid becoming too abstract, only with great difficulty. But in this book, the theory that underlies this cosmic power has been analysed to its thinnest filaments, and practical methods have been suggested to awaken this great pristine force in individuals. 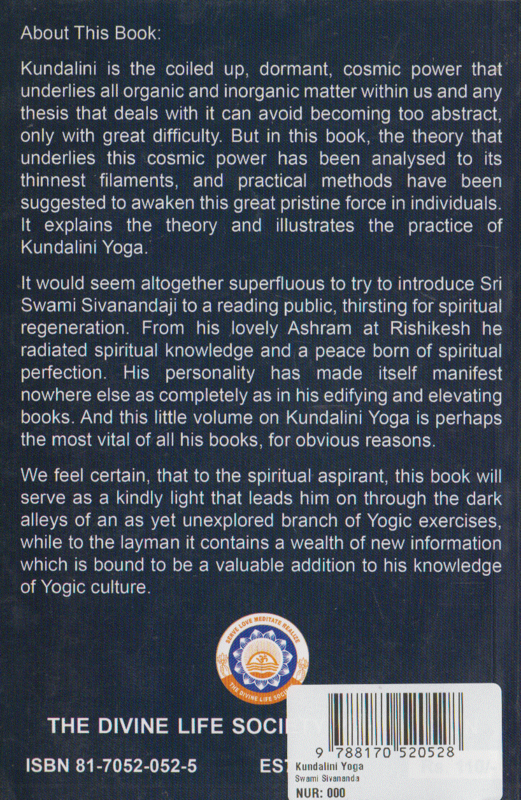 It explains the theory and illustrates the practice of Kundalini Yoga. It would seem altogether superfluous to try to introduce Sri Swami Sivanandaji to a reading public, thirsting for spiritual regeneration. From his lovely Ashram at Rishikesh he radiated spiritual knowledge and a peace born of spiritual perfection. His personality has made itself manifest nowhere else as completely as in his edifying and elevating books. 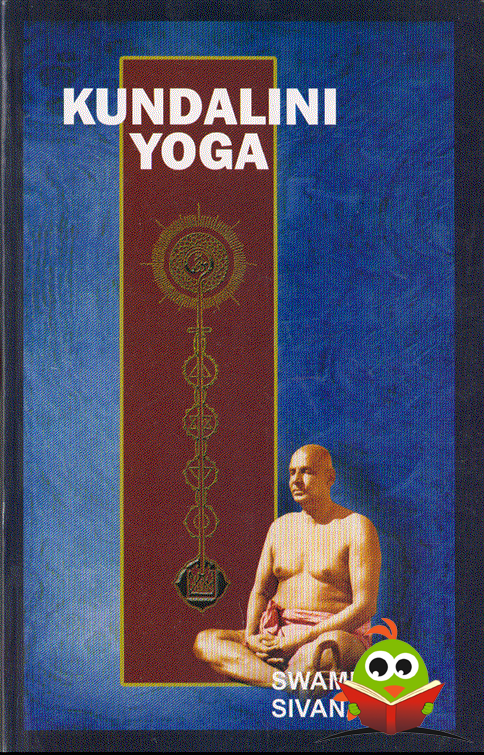 And this little volume on Kundalini Yoga is perhaps the most vital of all his books, for obvious reasons. We feel certain, that to the spiritual aspirant, this book will serve as a kindly light that leads him on through the dark alleys of an as yet unexplored branch of Yogic exercises, while to the layman it contains a wealth of new information which is bound to be a valuable addition to his knowledge of Yogic culture.